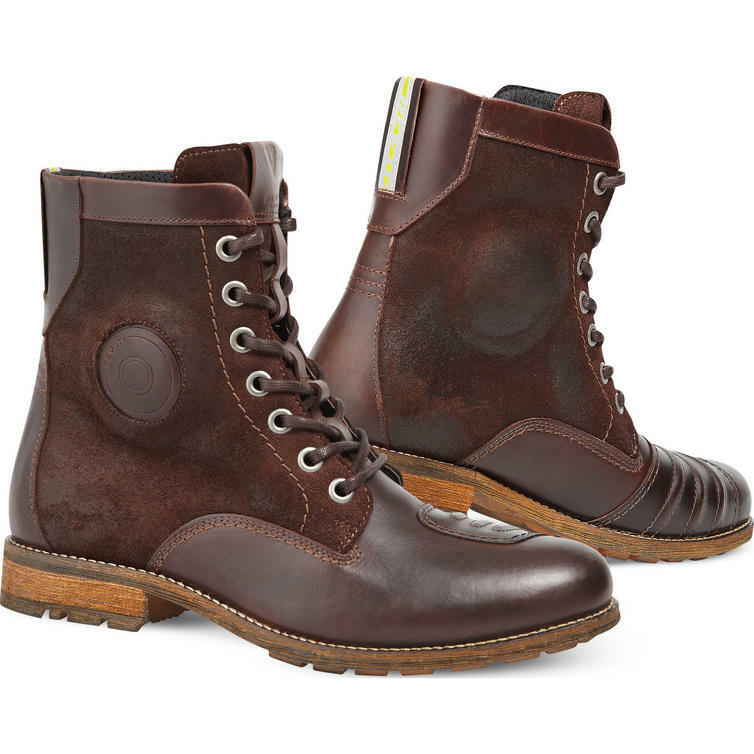 The Rev It Regent Motorcycle Boots is part of the latest Rev'It! collection. The Rev It Regent Motorcycle Boots stand out thanks to the combination of pull up WP full grain cowhide leather and waxed suede. 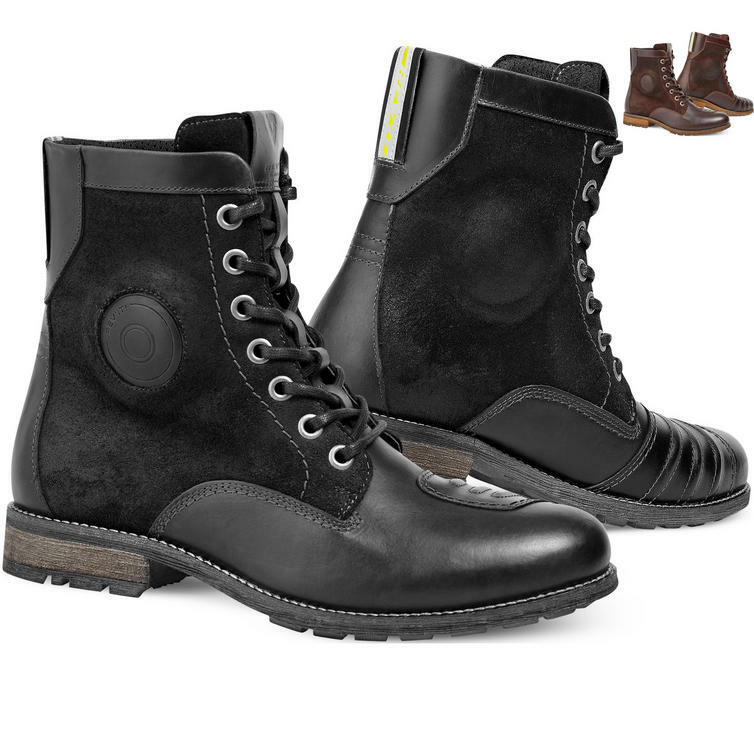 Although disguised as a stylish shoe the Regent has all the features a biker requires. Protection comes from the reinforced heel and toe area, as well as from the injected ankle cup. The anatomically shaped foot bed takes care of the comfortable side of things, while the polyester mesh inside provides breathability. To prevent water from finding it's way to the inside of these water repellent shoes the Regent is fitted with a gusseted tongue. View all Rev'It! Motorcycle Boots. View all Motorcycle Boots.